Colored children of school age. | Scuffalong: Genealogy. Colored children of school age. – Scuffalong: Genealogy. Colored children of school age. Thirty-five years after Emancipation, the Miller-McConnaughey and McNeely families were still clustered in western Rowan County, working small farms that they owned or rented. Education was a prized advantage, and many children in the neighborhood completed at least a few years. This school census, taken in 1900, lists all school-aged children in a household, though there is no way to tell if the children actually attended. The six youngest children of Ransom and Mary Ann McConnaughey Miller are listed: Florence A., Ida L., Margaret Lina, Spencer Lee, Hattie A., and Thomas Eddie Miller. Green and Grace Adeline Miller Miller‘s household included Walter, 10, and Bertha, 7. Both children were listed as the couple’s grandchildren in the 1900 census. Bertha Todd was the daughter of Green and Adeline’s daughter Margaret Miller and Alfred Todd. I don’t know who Walter Kerr’s parents were, but it seems likely that his mother was either Margaret or Mary Caroline Miller. George Miller, by then in his mid-60s, is listed with a 13 year-old boy named Ernest. This appears to be the Earnest Hilliard listed in his household in the 1900 census and described as a grandson. Was he Maria Miller’s son? 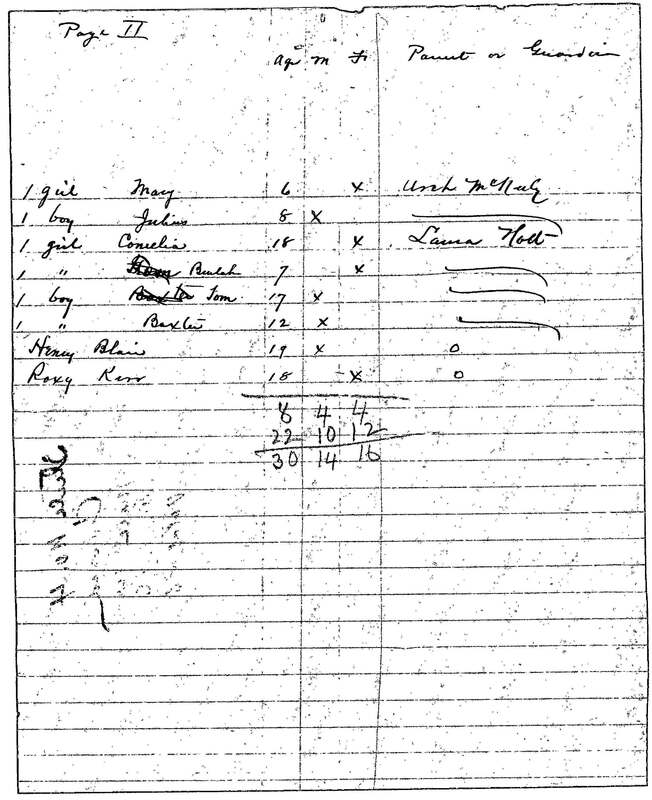 Finally, Arch McNeely, nephew of Martha Miller McNeely‘s husband Henry W. McNeely, is listed with four of his children, Ann J., Callie, Julius L.A., and Mary E. McNeely. 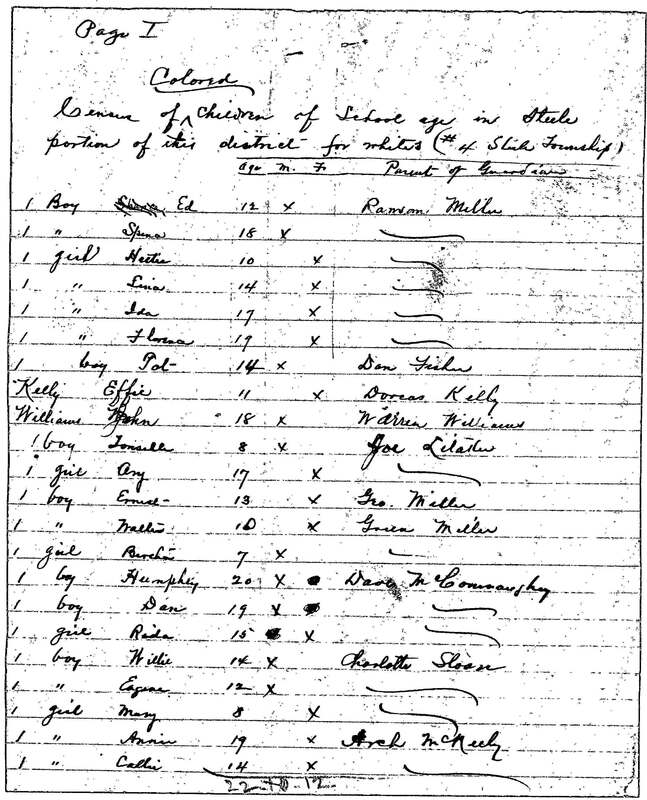 Copy of document from School Records, Rowan County Records, North Carolina State Archives. → Family cemeteries, no. 13: Artis Town. Pingback: Book of Negroes. | Scuffalong: Genealogy.